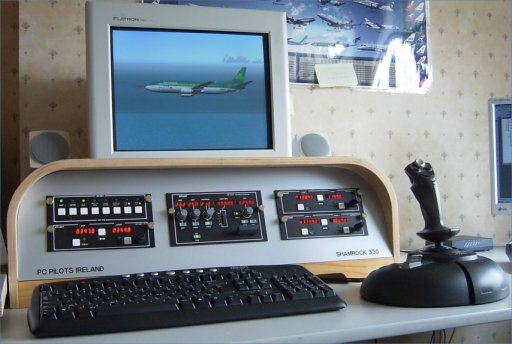 Like most Flight Simulator users, I started with a PC, a Joystick and flying the default aircraft - in my case the B737. I time in needed to expand my setup so I bought a Microsoft Sidewinder Force Feedback Joystick, which was a great addition. I then wanted to reduce the use of the mouse on the panel, so I invested in some GoFlight Modules (www.goflightinc.com) which I bought from UK company RC Simulations (www.rcsimulations.co.uk). You can get there modules from other suppliers as some use Fedex or UPS, which considerably adds to the cost. So compare their delivery charges to RC Simulations before you buy. The following are the GoFlight modules and their use: 1 x GF-P8 (Push Button 8), which I used for Gear Leaver, Pitot Heat, Landing Lights, Engine Startup, Flaps. 3 x GF116 Radio modules, which I used for Com1, Nav1, Nav2, ADF and Transponder. I also bought the GF Autopilot, which works on the default FS2004 aircraft (also on FSX - check the GoFlight website). As you can see on the photos, they were mounted into a purpose made panel, on which sat my monitor and speakers. The panels were made by Michael Collins, who is also a member of the PC Pilots Ireland. In 2006 I was invited to join the Worldflight USA crew for the Worldflight 2006 charity event. Four of us (PC Pilots Ireland members) travelled to Washington and fly Greg Coyle's B737NG Simulator around the world non stop for 7 days on the VATSIM network, along with other Worldflight teams based in Scotland, England, Australia and Austria. Greg uses Project Magenta and the PMDG 737-700 model on his Sim, which is in his basement and at the time it was not enclosed in a shell. 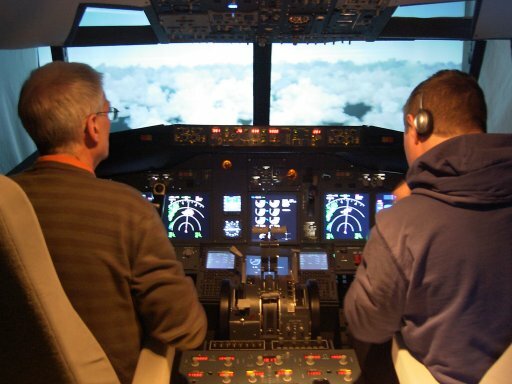 In 2006 I had never used the PMDG 737, an FMC or even a Control Yoke before, so I had a lot to learn. The Worldflight experience was so good that I decided it was time to further enhance my Flight Simming. 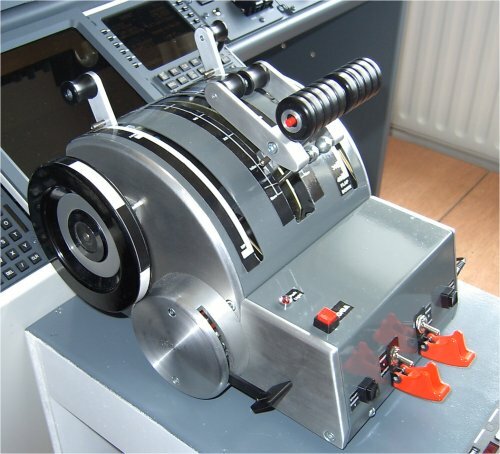 When I arrived home, I got myself a CH Yoke and Pedals and set about learning to use the PMDG 737, which I did. Now I was ready for the next Worldflight event. 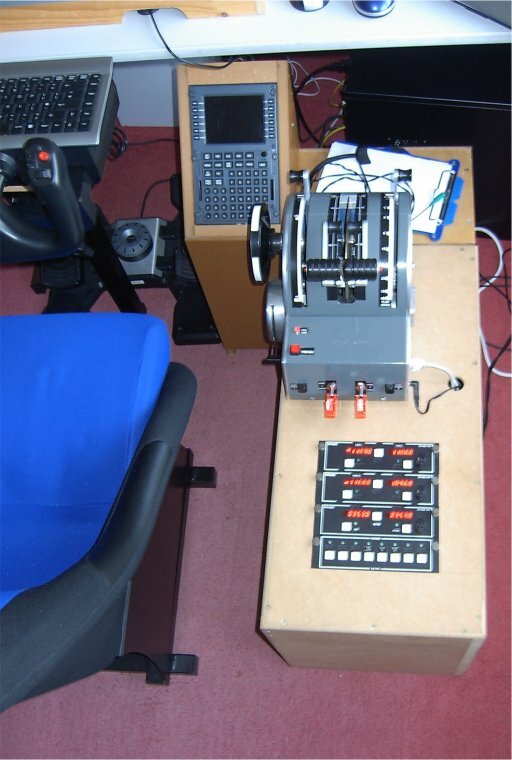 Michael Collins had been looking for a Throttle Quadrant for his Cockpit and early in 2007 he heard about the SimHard Motorised Throttle Quadrant, which is machine made by an engineer in Austria. He purchased it and was delighted with it. After using it on Michael's setup, I bought one in April 2007. It turns out that we were lucky because they has ceased making them. 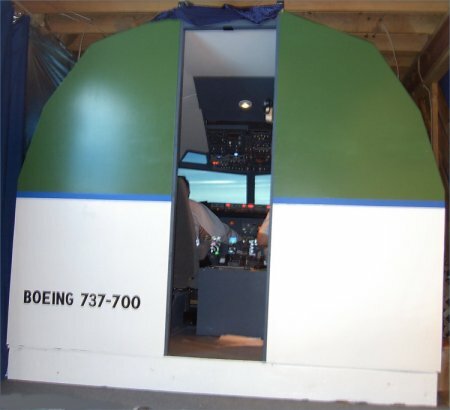 In November 2007, I returned to Washington for the Worldflight 2007, to find that Greg had enclosed his Sim a shell and added an Overhead Panel. Flying in a cockpit environment made a incredible difference to the experience and it was then that I realised that this was what I wanted. When I got back home, I decided to enhance my setup again and bought an MCP (Mode Control Panel) and EFIS (Electronic Flight Information System) from Italian Company, CP Flight (www.cpflight.com). These are compatible with FS default aircraft, the PMDG Series, Level-D 767 and Project Magenta and are 85% scale (CP Flight now have full scale units). So, it was back over to Michael, where we removed the GoFlight modules, made a new facia and fit the EFIS and MCP in the Panel. Michael also made me a Centre Pedestal, on which the Throttle Quadrant sits and the GoFlight GF166 and GF-P8 modules are housed. 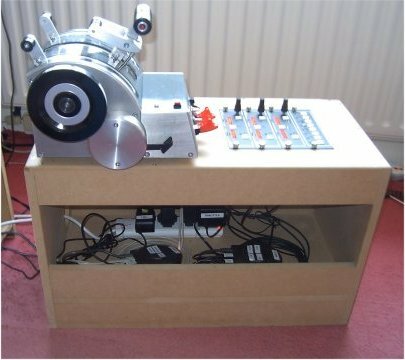 Inside this Pedestal are two USB Hubs (one for the 4 USB cables from the GoFlight modules and one for the two USB cables from the Throttle Quadrant) and a 4 socket power extension lead. The cables were fed to the PC through two openings at the front of the Pedestal - one for the USB cables and one for the extension lead. One side of the Pedestal is open to allow access. Around this time I also acquired the Saitek Pro Flight Yoke and Rudder Pedals. I put the Yoke on the 'Pilot's Seat', which was supplied by First Class Simulations (www.firstclass-simulations.com) for our Flight Simulation and Aviation Show. I had all this working on one Quad Core PC. Now I was well on my way to reducing the use of the mouse while flying. My next upgrade was the Fly Engravity FMC/CDU (www.flyengravity.com). This is compatible with the PMDG and Project Magenta but you need a driver for it to work with the PMDG aircraft, which, at the time cost €99. PMDG no longer supply this driver but a new driver is now available from www.flightsimlabs.com. This is an improved driver, which also works with the CP Flight Radio and Comms modules. 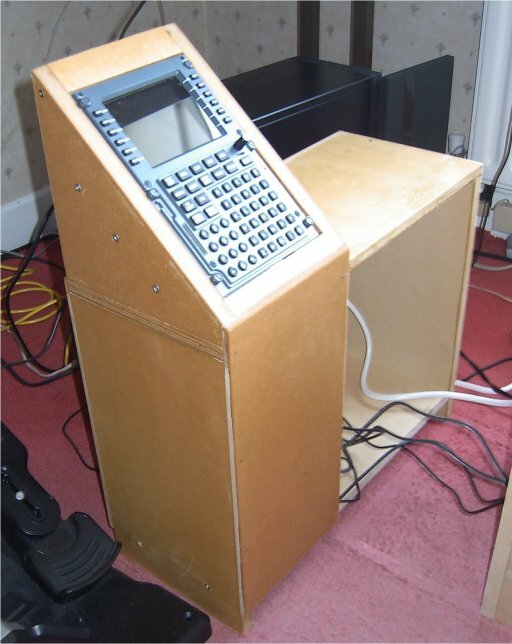 Michael made a pedestal for the FMC, which sat in front of the Centre Pedestal and through which, the USB and power cables were fed to the PC.